PLANNET MARKETING WELCOMES JANINE SANTOS TO THE 20/20 CLUB! PlanNet Marketing is pleased to welcome Janine Santos to the 20/20 Club. Janine is from Cardiff, Wales, UK. Cardiff is the eleventh largest city in the United Kingdom. She is married with one son. 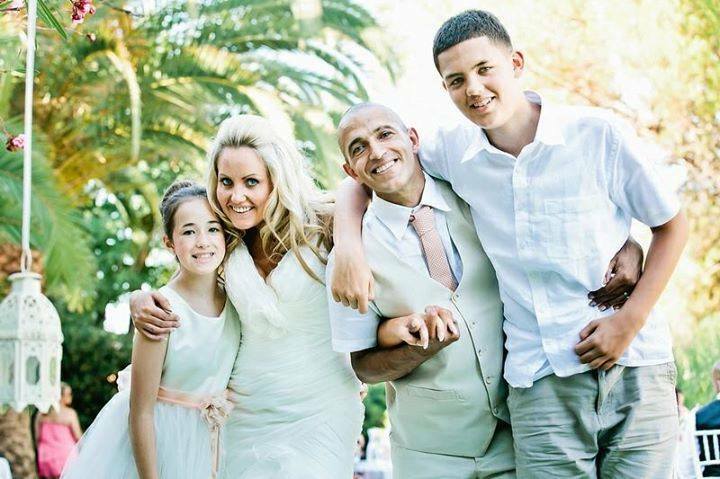 She tells us “I am extremely passionate about travel, hence why I joined the business. I also love anything business - number crunching, solving problems, and expanding my knowledge through analysis and the study of my chosen subject. I have always had a love for fashion and this is how I started my career in the retail fashion industry. I have been a retail manager for over 20 years and have always loved meeting new people. Throughout my time as a manager I have enjoyed coaching and building succession throughout my team in order to progress them personally and professionally, as well as the business. “I have many experiences through travel but will say I really love a beach holiday. There is nothing better than lying near the sea with the sun on your face and a good book in your hand. I travel like a pro by taking a large towel peg to stop the towel flapping in my eyes in the wind. You most definitely need this on a cruise. #Traveltip! 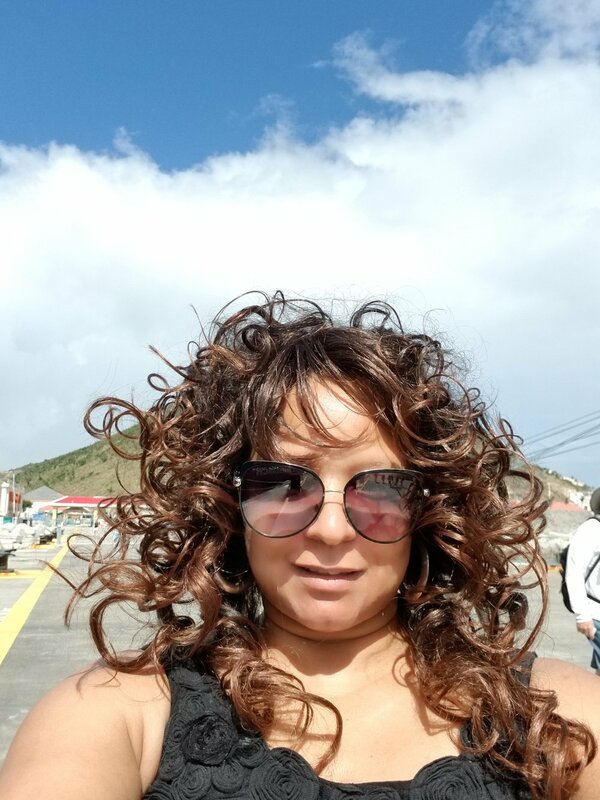 I recently went on my first cruise for my 40th birthday around the Caribbean, which was immense! The service was 5-star, with loads to do keeping myself and my hubby both entertained as he is more of an explorer and I love chilling. A cruise gives you the best of both worlds. My only downfall was missing the ship from the Bahamas and having to travel to New York in a bikini whilst it was three degrees and then having to get two connecting flights to meet the ship. $2k later...I was back on the ship only missing 24 hours! I was now on first-name terms with the captain and we were known as the Welsh couple. Ha! Ha! We made so many new friends along the way and am still in contact with most. Travelling and meeting people is so much fun even if you do have the odd mishap along the way. On arrival to the Virgin Islands, we drew in the sand, WE MADE IT, to let all our family at home know we managed to get to the ship in time. “The biggest thing for me is consistency. Our uplines in the business always highlight this and when you listen and follow this I can guarantee you will get results. You need to do what works for you in terms of a system. Some people work by a notebook and some prefer digital. I am definitely a digital worker. I need to be able to pull up my file wherever and whenever. I recently set up a Trello board, which allows the team to use the same information and allows us to share knowledge across the globe as we can all access via the Internet. 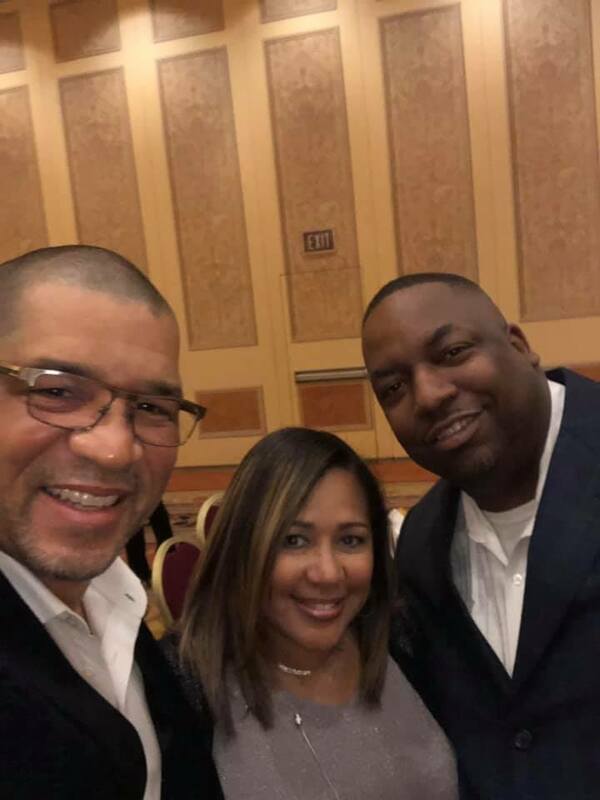 My goal for 2019 is to build succession through the team and support duplication in order for us all to grow united. I will continue to learn from the leaders above and duplicate their success. They are all so inspiring and it really excites me to be part of such a culture. I have never worked in network marketing before and my experience so far is amazing. I am proud to be part of this exciting business. I was born in the tiny rural town of Morris, Georgia. I was raised in nearby Columbus, GA. I've lived in Atlanta since 1987. I am a proud father of two grown children and one amazing four-year old grandson. I am an avid reader of personal development material. I love watching documentaries on a variety of subjects, but mostly of people who have achieved their goals against what would seem to be insurmountable obstacles. I’m also a lover of good music, especially live music of varied genres. 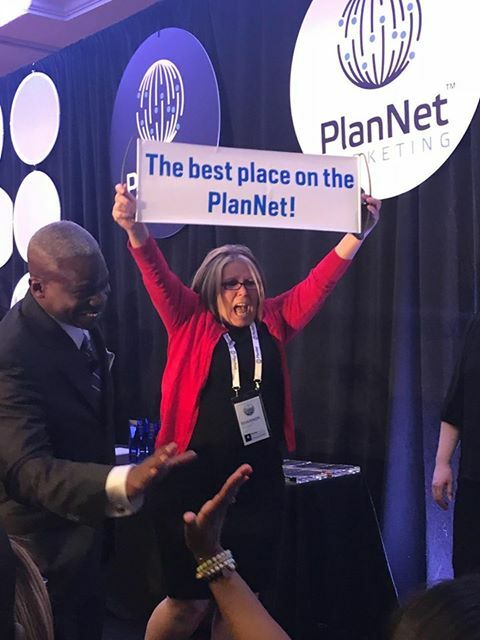 My growth with PlanNet Marketing has mostly been in the area of meeting people where they are and intently listening to what their goals are and making their goals a priority since they've entrusted me to help them brings those goals to fruition. I'm driven daily to create success stories within the organization for those individuals who are sincere about success. One of my role models is Muhammad Ali because he was relentless about being a champion inside and outside of the ring. He never compromised his beliefs to make his life easier, but instead he always stood up for what he believed was right, even when material things were taken from him. The best advice I would give to anyone is to always believe that you are a champion, regardless of what you may be going through right now, for you do not have cement around your feet, meaning you can always take action to change the course of your future. Always! Five years from now I envision leading a multitude of people to financial betterment in this wonderful opportunity. I look forward to being an even better servant of those who think enough of me to follow. PlanNet Marketing is committed to integrity and transparency in our business - we have absolutely nothing to hide! In an effort to operate our business at the highest standards, we have published an Income Disclosure Statement (IDS) for 2018. The IDS can be found in various places on the PlanNet Marketing website and in our corporate presentation. It's also available for you to view and download in Resources in the Rep Virtual Office. If you want to send it to someone electronically, it can be found at https://www.plannetmarketing.com/en-us/Income-Disclosure. According to best practices, we should use this document ANY time we're talking about (or writing about) compensation earned with PlanNet Marketing. The IDS shows the facts about income earned at various levels of accomplishment with PlanNet Marketing. We don't expect our Reps to speak in depth on the IDS; simply present it when you're talking about earning any type or amount of compensation with PlanNet Marketing - and let the Statement do the talking. If you post something on social media that discusses income, you should include a link to the IDS in the post. We believe the IDS can be a strong marketing tool; it shows that while the "average" Rep in 2018 earned $165.92 for the whole year, a small amount of extra effort to become a Gold Builder bumped that earning potential to an average of $3,833.68! Now you're talkin’! Specific questions about the IDS and its use can be sent to Compliance@plannetmarketing.com. -- Policies and Procedures Section 3, located in your Virtual Office in the Information Center (go to Resources, then Policies and Procedures). 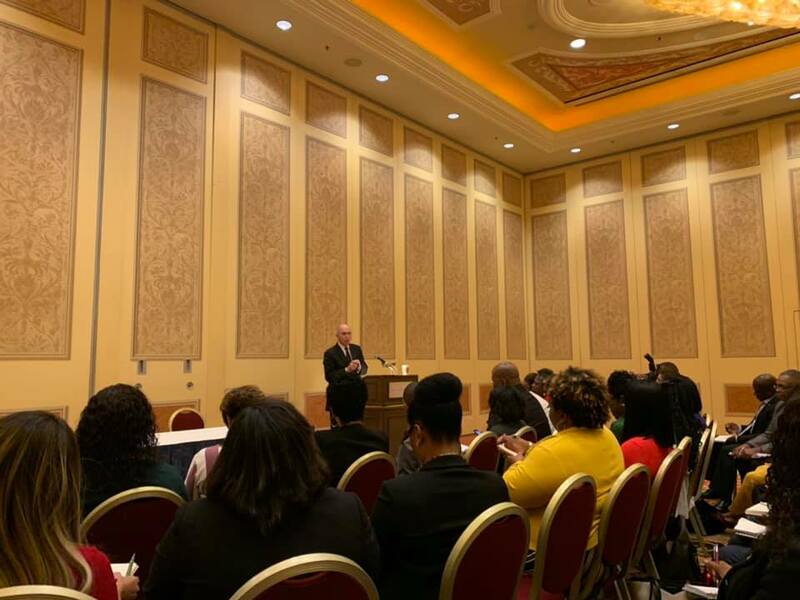 PlanNet Marketing’s 2019 Directors’ Retreat was held January 18-19, 2018 at the Venetian Hotel in Las Vegas, NV. 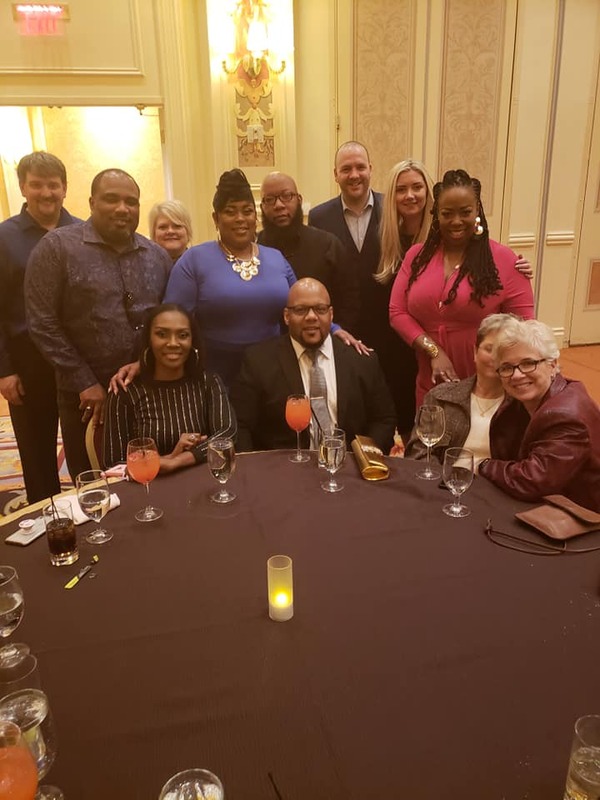 Founder, Chairman & CEO Donald Bradley, President & CFO Andy Cauthen, Chief Operating Officer LeAnn Troeckler, and Vice President of Marketing Administration LisaMarie Klinger were in attendance, along with Three-Star Directors and above. 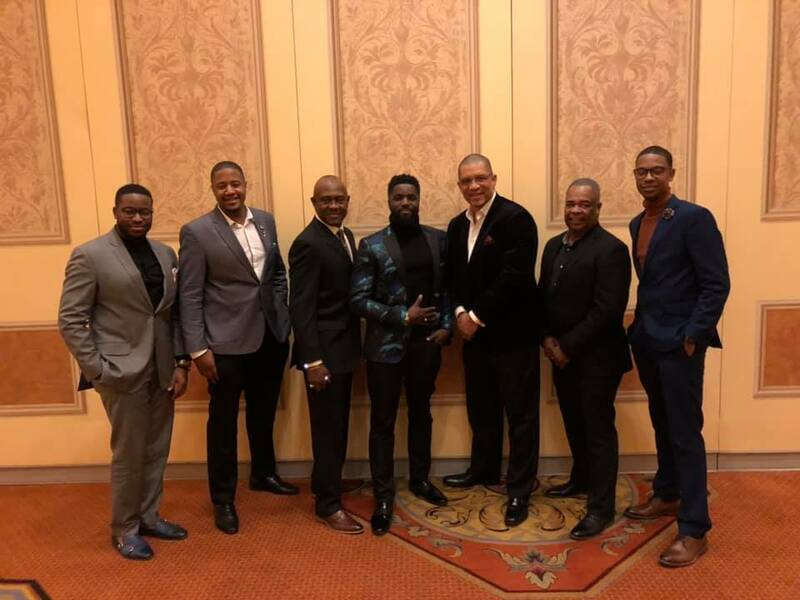 The weekend included two-night accommodations for all Three-Star and above Directors and their guests at the gorgeous Venetian Hotel in Las Vegas. A fabulous dinner was held at the hotel on Friday night, followed by a night of fun and entertainment in Las Vegas. On Saturday morning, Mr. Bradley led a powerful Directors’ meeting, sharing his insights and aspirations for PlanNet Marketing 2019. 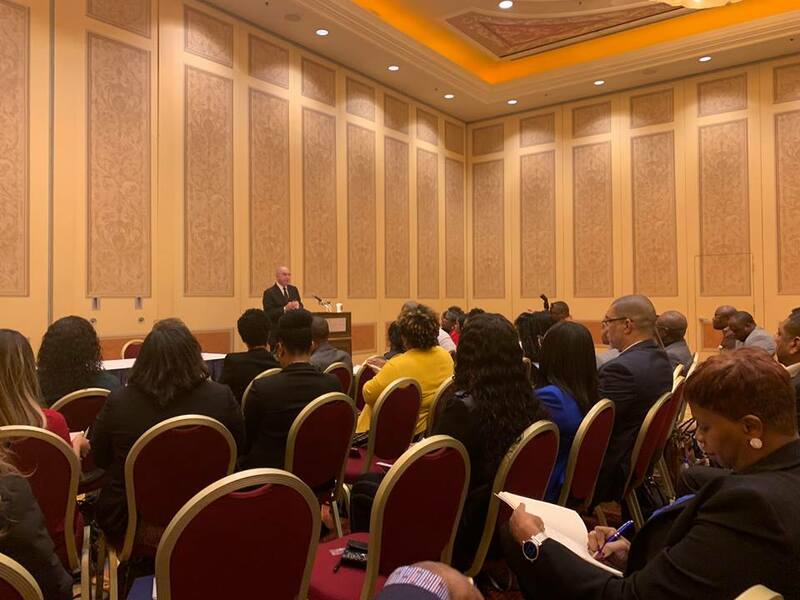 Following the inspirational morning meeting, everyone enjoyed the sights and excitement and all that Las Vegas has to offer. Enjoy the photos from this ALL STAR event! 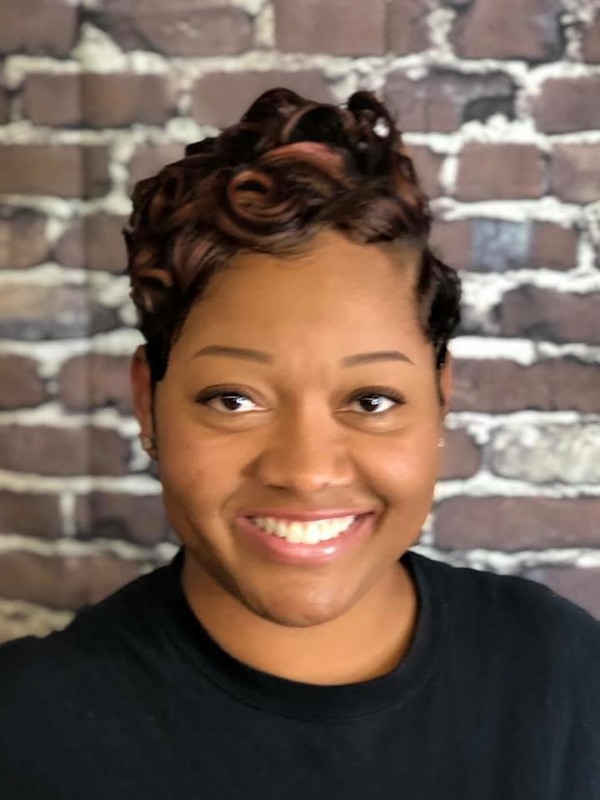 CONGRATULATIONS TO LATESHIA CAMPBELL FOR ACHIEVING TWO-STAR DIRECTOR! I was born and raised in Washington, DC and currently reside in Hyattsville, MD. My hobbies include spending time with family, hanging with business partners (who now are like family), shopping, and of course traveling. In just 18 months I have been able to run through the Builder’s program, reach the 20/20 and 40/40 Clubs, and now One-Star Director with PlanNet Marketing and I am loving it! With a background in management, since joining PlanNet, this opportunity has allowed me to remain in the mode of a coach. Coaching and developing my team have helped me become more patient. It’s helped me to analyze and become more strategic with planning the next phases for organizational growth, but it has also allowed me to remain the evidence, staying the glimmer of hope to the business partner that may be faced with challenges. My motivation and drive comes from a place of knowing that this opportunity can truly set people free if they remain consistent, believe in themselves, and continue to do the activity even when things seem rough. Wanting to help other families earn additional monthly income that can potentially save their household, or provide an individual power to replace their full time job (or begin building a Plan B option) is HUGE for me. I would humbly say Mr. Donald Bradley would be considered a role model of mine. It was his passion for helping his people win, the fact that he was from Baltimore, MD (where it wasn’t always a sunny day for many that grew up there), and now to see where he stands and what he stands for is so very powerful. 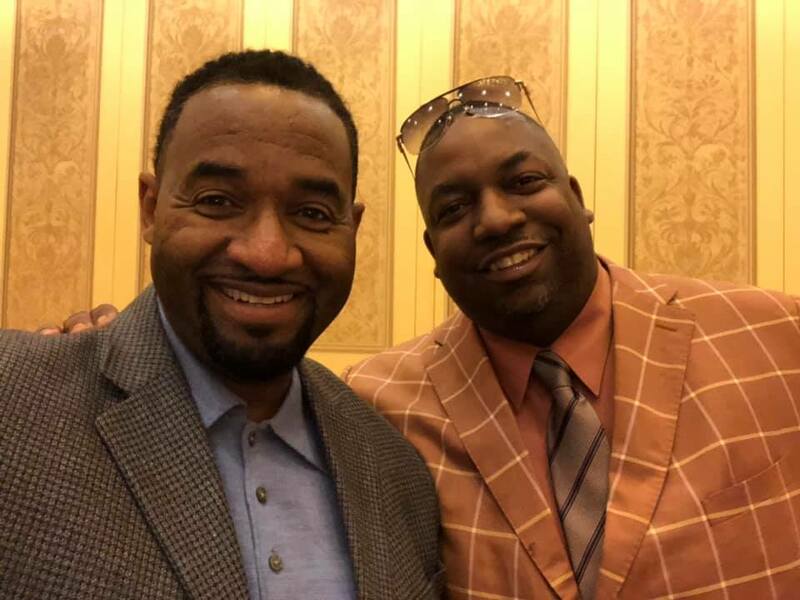 I remember hearing him speak for the first time - it was the most passionate thing and it started to change how I viewed network marketing opportunities. The PlanNet Pledge was very generous of Mr. Bradley - I know of no other opportunity or employer who thinks that much of an individual to put something in place that helps the families attached to them. Self-motivated, Goal oriented, and Determined. Remain coachable, teachable, and humble. Stay consistent; never quit no matter how tough the road seems. Allow yourself to grow in your business regardless of your current level. Set goals, smash them, and set more! Help those around you as well - they don’t have to be direct to you but can be a sideline partner. Everyone who is a part of this opportunity is here for the same thing and everyone can use help or that extra push to get them ahead. Become your brother/sister’s keeper, pulling them as you continue to reach your next pit stop. I would say that five years from now I would be earning twice my current salary and possibly considering walking away from my full time position and embracing my entrepreneurial endeavors. PLANNET MARKETING WELCOMES SONIC JONES TO THE 40/40 CLUB! Sonic Jones was featured in last week’s PlanNetNow! blog as one of our newest One-Star Directors! Read his feature article here. PLANNET MARKETING WELCOMES LAVETTA WILLIAMS TO THE 40/40 CLUB! 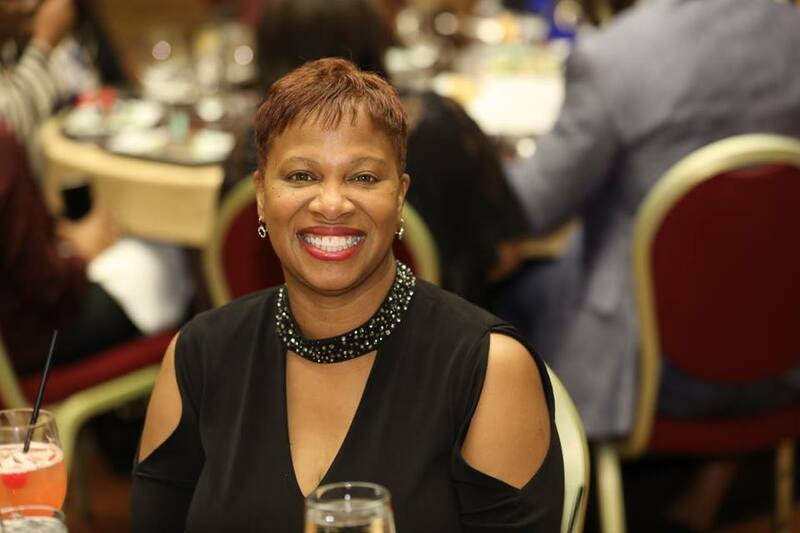 PlanNet Marketing is proud to welcome LaVetta Williams to the 40/40 Club! LaVetta tells us that she joined in July of 2017 and had no idea how much her life was going to change with this opportunity. She says, “I'm well familiar with network marketing and the industry but the support was something I lacked...until PlanNet! I'm a stay-at-home mom; I retired three years ago and I've been working from home ever since. PLANNET MARKETING WELCOMES TROYLYNN HARVEY TO THE 20/20 CLUB! PlanNet Marketing is pleased to welcome Troylynn Harvey to the 20/20 Club! 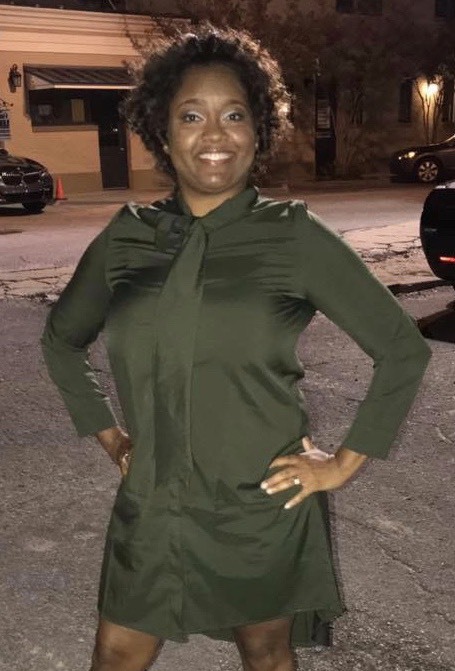 Troylynn lives in Gautier, Mississippi with her wonderful husband and three beautiful daughters.She was born in New Orleans but was raised in Tylertown, MS. As a child, her parents would take the family to Junction City, Kansas every summer to visit her grandmother. She enjoyed traveling as a child, not knowing the impact it would have on her life as a adult. 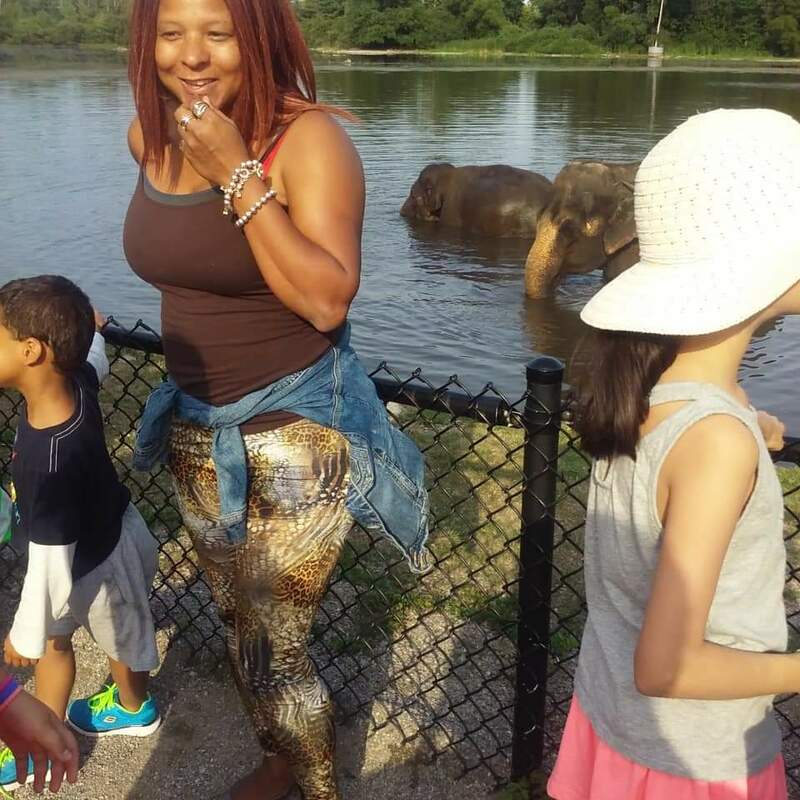 Troylynn shares, “So far, I have been to 18 states but I promised my daughters I would take them to at least 25 states and at least two places out of the country. Although my husband does not like to travel he is very happy to see his family travel and enjoy it. I love experiencing new places, gorgeous landscapes, culture, and food, plus teaching my daughters to travel is to live. My 2019 calendar is almost full; in 2018 I had the opportunity to visit several places but two of the most memorable ones are Jamaica and Cozumel. 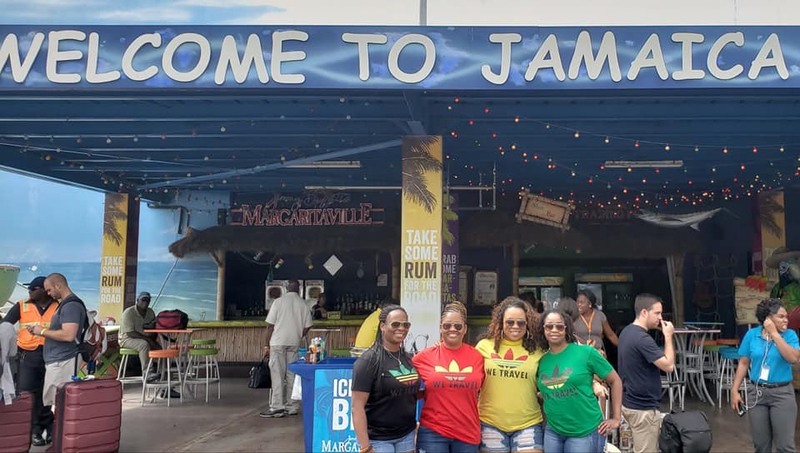 In Jamaica, I got to travel with some amazing business partners, and I went to Cozumel with some fellow church members and we had an adventurous time! “I have been booking our annual church summer vacation for 10 years, so it only made sense to become a travel agent; but with so many people watching me travel, they wanted to do it too. With that in mind it was easy for me to do both sides of the business. “You have to love and appreciate what you are doing in order to be successful. Don’t try to force anything onto anyone. My motto is: you only have one life to love - live it to the fullest. I try my best to live by example for my friends, family, and business partners and also let them know I will be there for them if I am needed. Remember to write down your goals and make them happen. PS: It will not be easy, but the rewards are worth it! PLANNET MARKETING WELCOMES ERICKA MILLER TO THE 20/20 CLUB! 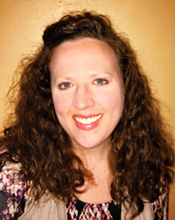 PlanNet Marketing is pleased to welcome Ericka Miller to the 20/20 Club! Ericka is originally from Connecticut, grew up in Maryland, and currently lives in Bowie, MD. She says she is a foodie, traveler, and loves to laugh. She has traveled to many places - Egypt, Morocco, backpacked across Europe, Canada, and even been to a few states! “Discovering new places is my second love - my first love would be food…an even better reason to travel…to try new foods. I truly enjoy traveling and believe it’s a good investment in oneself. You, my friendly neighborhood PlanNet Rep, are POWERFUL! Every word that you say, type, post, blog, vlog, chat, (you get the point) is a representation and extension of PlanNet Marketing. When you’re sharing your personal opinions and feelings on your social media feed one minute, and sharing an upcoming PlanNet Marketing Business Opportunity meeting the next minute – people associate your opinions and statements with PlanNet Marketing. Is that a good thing? Or a bad thing? Depending on how you’re representin’...it could be a scary thing, a dangerous thing. When you have a prospect who decides they aren’t interested in enrolling as a Rep nor purchasing an ITA – how do you respond? Do you wish them well and let them know you’ll still be waiting with open arms if they ever change their mind? Or do you tell them they don’t matter cuz you got bigger and better places to go and people to see?! You said WHAT?! Every person you meet or encounter while doing PlanNet-related business should walk away from you talking about how respectful and professional you are, and they should be amazed at your level of integrity. You can attend every meeting, participate in every phone call, follow the PS3 system ‘til you’re blue in the face – but if you are RUDE to people – you will never come out on top. Show respect. Be kind. Make people WONDER at your friendliness. They’ll have no choice but to keep coming back to you for your encouragement and support. PlanNet Marketing prides itself on the quality and character of our Reps – make me proud ya’ll. -- Policies and Procedures Section 1.1 located in your Virtual Office in the Information Center (go to Resources, then Policies and Procedures). The Best Place on the PlanNet! Just ask any of these amazing PlanNet team members! 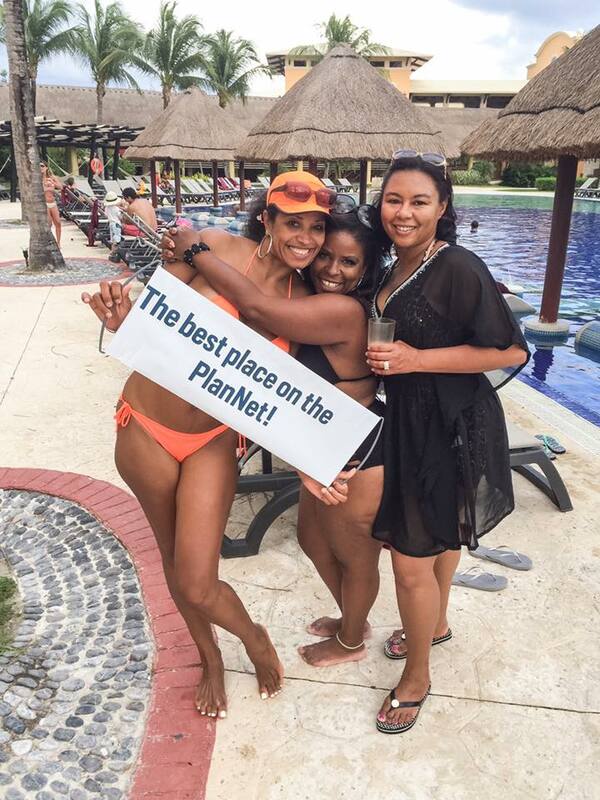 Send us your photo with your PlanNet Scroll and watch for another “Best Place on the PlanNet” post in a future PlanNet Now Blog! Please submit your photo and location info to: support@plannetmarketing.com. Sonic Jones was featured in last week’s PlanNetNow! as one of our newest Directors and PlanNet Marketing is proud of his accomplishment. Originally from the Bronx, New York and now residing in Atlanta, GA, he has always had a passion for music. Sonic tells us that he is the CEO of X-Factor. He has been in business for himself for 20 years and has been very successful. Sonic has had his hands in the music and entertainment, wireless, and printing industries, and now the travel industry. 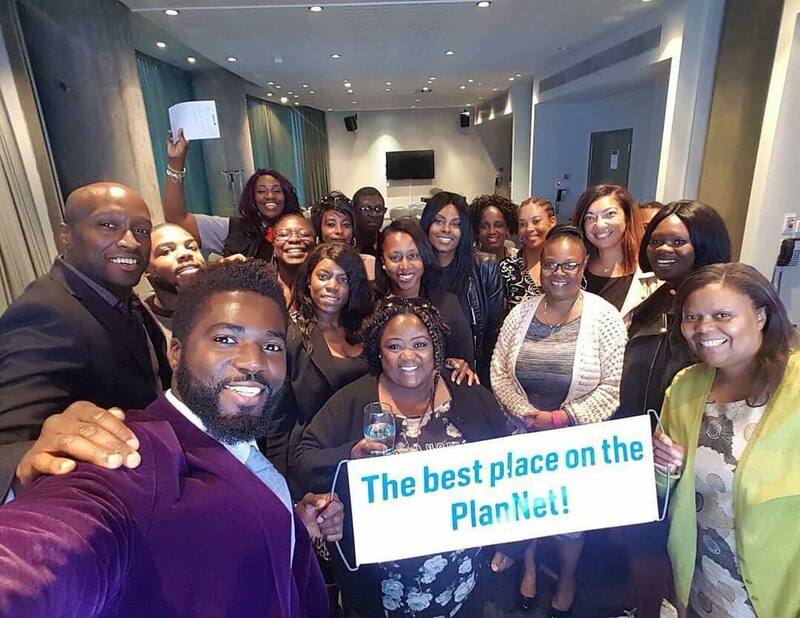 With over 20 years experience in network marketing, he has built teams all across the country, and now with PlanNet Marketing is looking forward to building teams all across the world. 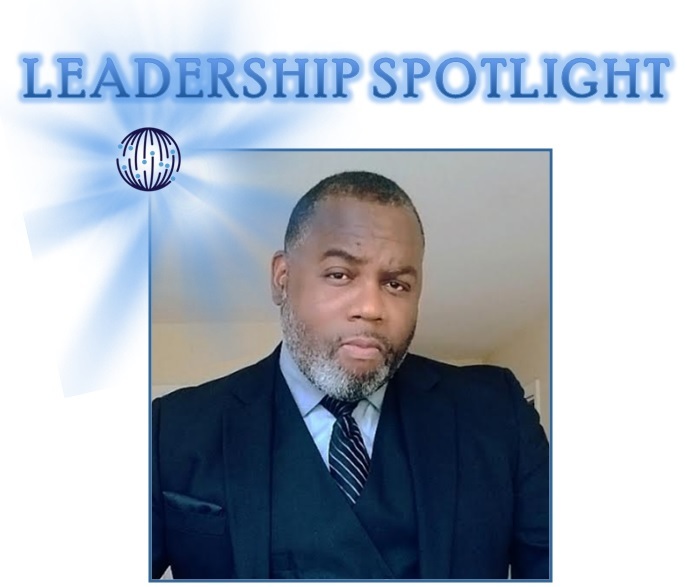 He is a proven leader, experienced master trainer, and loves to have fun as well. Director Jones has traveled everywhere from Mexico to Greece to Dubai. Upon joining PlanNet Marketing, Sonic asked Mr. Bradley what it would take to get his attention and he was told to "get documented as quickly as possible,” so that was the plan. He relates, "Normally I am pretty shy, but when you have a company that pays you to have successful conversations about helping people, I decided to begin talking to everybody I can. I'm looking forward to being a productive member of the team and helping as many people as possible achieve their goals within the company." I was born and raised in Durham, NC. Darryl was born and raised in Washington, DC. We have five handsome young men with our oldest being 32 years old and our youngest being 17 years old. We enjoy spending time with our family, traveling, reading, working out, occasionally catching a good movie, and playing some pool. We've tried some other business projects prior to PlanNet Marketing and our success has been limited, but it has driven us to continue to find that opportunity that will literally change the financial scope for our family as well as others...and we have found it with PlanNet Marketing. PlanNet Marketing has allowed us to find out who we truly are as individuals and business owners. We understand that in order to get the success that we desire, it requires work and our success will not come overnight. Most importantly, we understand that our success is not about us, but what we can do to help change others’ lives, and once you live and strive towards those principles, your success will come. 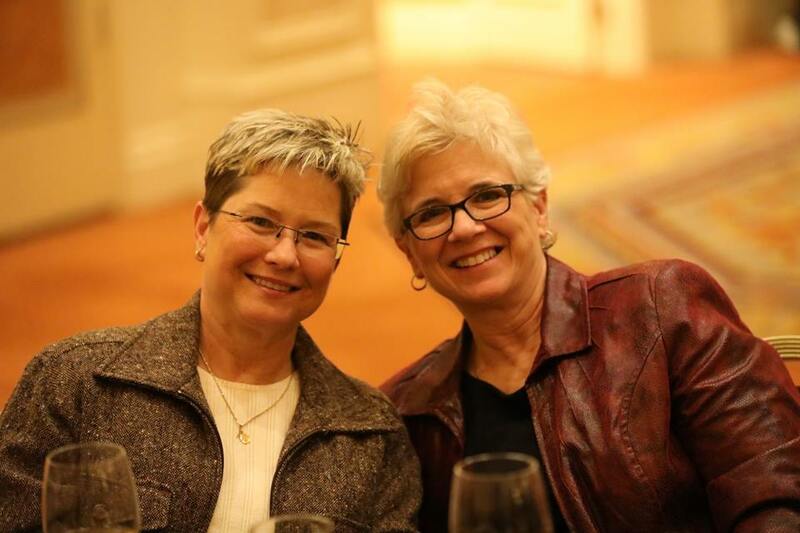 What drives us is the journey that we have experienced since partnering with PlanNet Marketing. Understanding that we have changed some people for the rest of their lives, and as long as they follow the leadership of this amazing organization, their lives will be forever changed. We firmly believe that! Life itself motivates us. Life is so precious and we understand that life is what you're given, but lifestyle is how you choose to live your life. We have always told our sons to reach for the stars and never limit yourself towards your greatness. We believe that every individual has been created for greatness, but very few act upon it, or don't have the vehicle that could literally change their lives for the rest of their life. We look at Three-Star Directors Greg & Carla Scott as role models. Drew has known Greg since he was five years old and is one of his best friends. 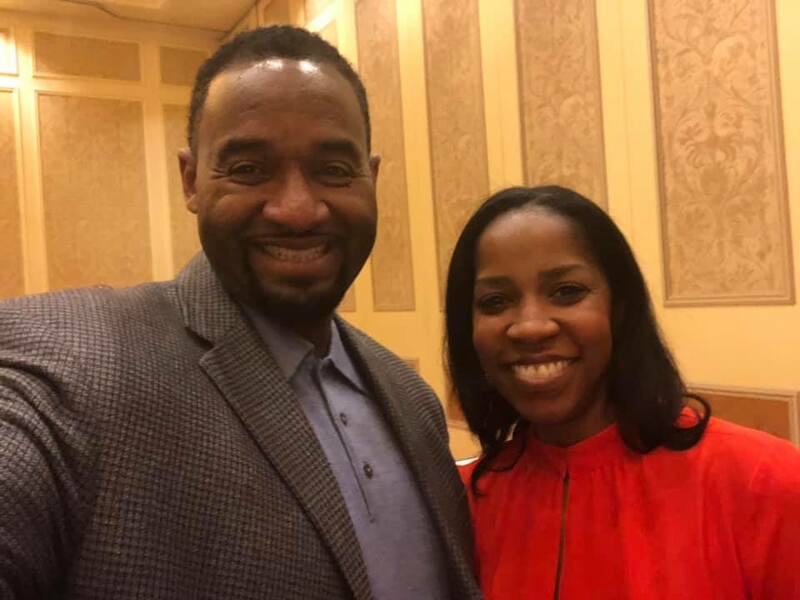 Greg and Carla have worked their business with integrity and have been loyal to Mr. and Mrs. Donald Bradley since being in the travel industry. That's a true commitment and it speaks volumes to Greg and Carla as well as what Mr. Bradley has put in place. 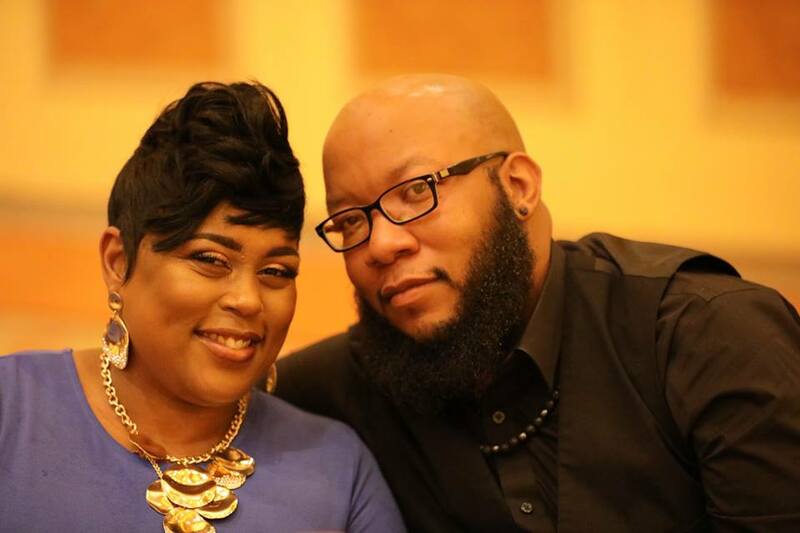 Greg and Carla have been successful in their work careers, but more importantly have been very successful in their business, and are working this business on a part-time basis and receiving full-time benefits. That's huge! Their leadership capabilities are impeccable in the industry and we are following their lead. We would encourage everyone to chase your dreams and turn them into reality. Understand that you must build those solid relationships along the way and truly understand that your success is not about you, but rather whom you can help along the way. Also, understand that through your journey, life is going to happen, but don't let life happening keep you from reaching your promise. Fight through the pain, disappointment, and rejection because it builds character. Living life that GOD intended us to live, enjoying our family, continuing to help as many families as we possibly can, and money never being an issue for ourselves and our family.